Power Metals Corp. announced additional drill hole assays for lithium and tantalum mineralized intervals for the Main Dyke at Case Lake, east of Cochrane, Ontario. 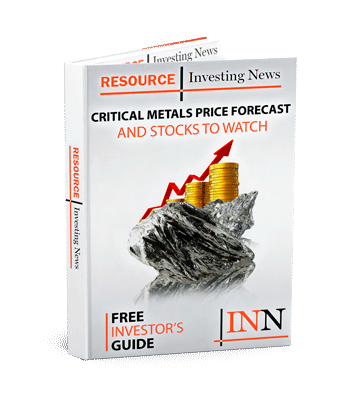 Power Metals Corp. (TSXV:PWM) announced additional drill hole assays for lithium and tantalum mineralized intervals for the main dyke at Case lake, east of Cochrane, Ontario. Drill hole PWM-17-45 has impressive high-grade lithium and tantalum mineralization. Lithium and tantalum grades are up to 1.94 % Li2O and 735.0 ppm Ta. The high-grade coarse-grained spodumene inner intermediate zone from 8.0 to 14.0 m is followed by a very coarse-grained pegmatite zone and K-feldspar and pure quartz core (14.0 to 23.0 m) and by another high-grade coarse-grained spodumene inner intermediate zone from 23.0 to 31.0 m. This indicates that the high-grade spodumene pegmatite zone is concentrically zoned around the quartz core. An impressive 47 cm long spodumene crystal occurs in the core near 10 m depth (Figure 1). The Main Dyke in this hole has a good-grade outer pegmatite zone and the total width of the Main Dyke in PWM-17-45 is 34.71 m.
Drill hole PWM-17-50 has continuous Main Dyke pegmatite for 32.02 m. The pegmatite intersection contained high-grade coarse-grained inner intermediate zone (12.0 to 18.0 m) followed by quartz core and by another high-grade coarse-grained spodumene inner intermediate zone (31.0 to 42.0 m). This indicates again that the high-grade spodumene pegmatite zone is concentrically zoned around the quartz core. Power Metals drilled PWM-17-49 to target both the first and second new spodumene dykes that were discovered down hole of the Main Dyke near the end of the 2017 drill program (Power Metals press release dated Nov. 27, 2017). Both new dykes are open in all directions. Drilling is required to define these new dykes. We are pleased to receive these assays for our 2017 drill program on the Main, North and South Dykes. The 50 hole 5400 m drill program successfully intersected numerous wide high-grade lithium intervals. We will continue drilling this area in the spring as the pegmatite is open in all directions. We look forward to achieving similar success with our 2018 drill program on the Northeast Dyke. Click here to read the full Power Metals Corp. (TSXV:PWM) press release.